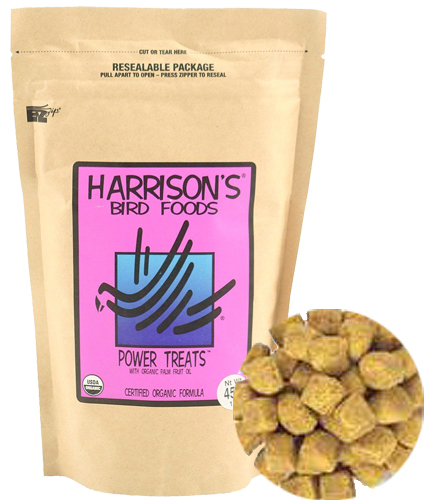 Benefits birds with dry flaky skin. Benefits bird that lack proper coloration or sheen to feathers. Harrison's Bird Food contains certified organic ingredients, no artificial preservatives, colors or added sugars.